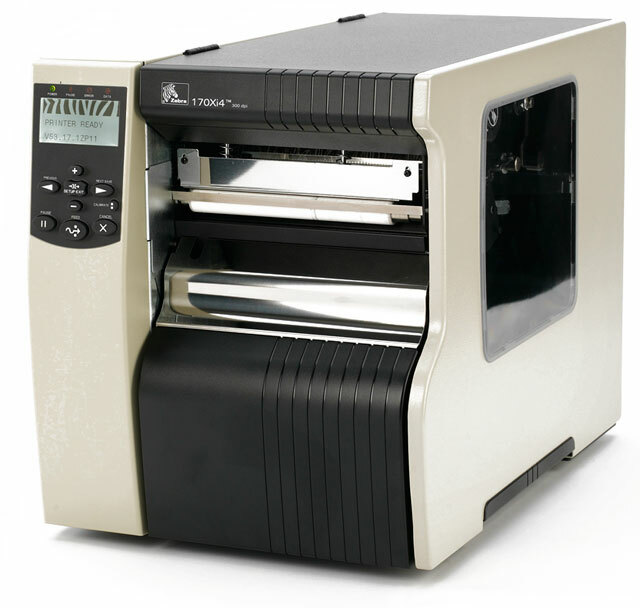 Zebra 170Xi4 - Thermal transfer Industrial Printer, 300 dpi, 6.6" max print width, 16MB SDRAM, Ethernet, USB, Parallel, and Serial (RS-232) interfaces, Clear Media Side Door & Media Hanger, and US Power cord. Cables sold separately. See accessories. 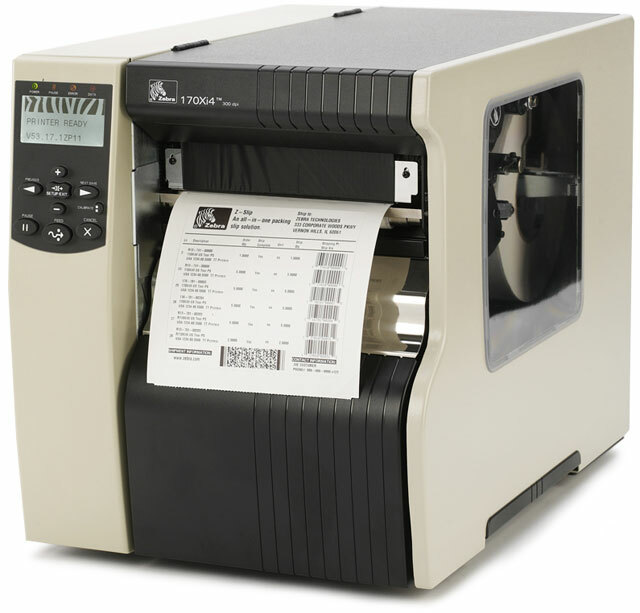 The industrial-strength Zebra 170Xi4 with 203- or 300 dpi (8 or 12 dots per mm) print resolution and a 6.6" print width at 12" per second can print large volumes of labels, promoting greater productivity with fewer roll changes. Or it can execute intricate, high-resolution print applications at a quick 8" (203 mm) per second. With its all-metal construction, this printer is ideal for tough applications including compliance labels (AIAG, ODETTE, UCC/EAN-128, etc. ), product identification labels and pallet shipping/receiving labels, either on demand or in batches. Serial printer cable, 9-pin to 25-pin, 6ft. Replaces (Part# PCM-1970-06). Kit, Compatible with Zebra 170Xi4 & 170Xi3+. Main Drive Belt Kit, Compatible with Zebra Xi4 Series. This is a Zebra printer repair part. The Zebra 170-801-00000 is also known as ZEB-17080100000	or 17080100000	.